Muiredach’s High Cross is a high cross from the 10th or possibly 9th century; and is located at the ruined monastic site of Monasterboice, Co. Louth, Ireland. Muiredach’s cross is also known as the South Cross. It has been described as the most beautiful specimen of Celtic stonework now in existence. 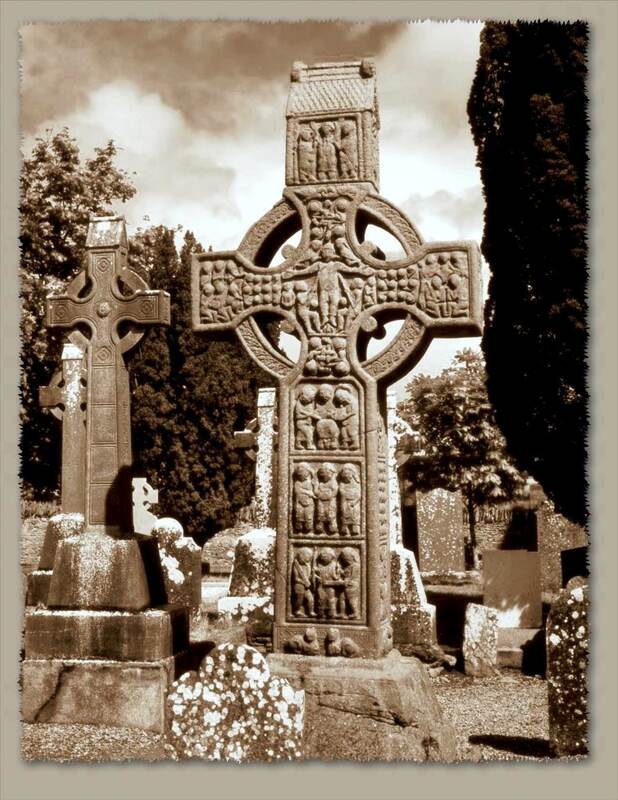 The crosses at Monasterboice have been stated to be Ireland’s greatest contribution to European sculpture. This entry was posted in Co. Louth, Family History, Ireland and tagged Beautiful Places, Co. Louth, GeneaBlogger Daily Blogging Prompt, Geneaology, Muiredach's High Cross, Wordless Wednesday. Bookmark the permalink. 2 Responses to Wordless Wednesday! Isn’t is Su; it’s another place I would love to visit. Unfortunately not this time around… my 3 week itinerary is more than full! Maybe next time!